Happy Birthday Kareena Kapoor Khan! Here's a sneak peak into some fitness secrets of the Bollywood diva. The phrase aging backwards is apt for the hot sensation of Bollywood, Kareena Kapoor Khan. The sizzling actress celebrates her 38th birthday today. The glamorous diva continues to surprise her fans with her strong determination, disciplined life and dedication towards her workouts. Kareena Kapoor Khan is one of those stars who believes in religiously sweating it out in the gym, despite a jam-packed schedule. No doubt, the actress surely believes in challenging her limits as we can see her in killer shape even after her pregnancy. Instead of resorting to dangerous pathways to weight loss such as crash dieting, we saw Kareena Kapoor Khan lose weight slowly and steadily by exercising regularly, without compromising on her overall health. 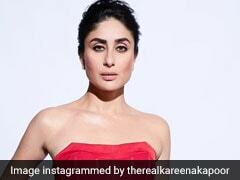 Also read: Kareena Kapoor Khan Gives Her Fans Fitness Inspiration, Yet Again! 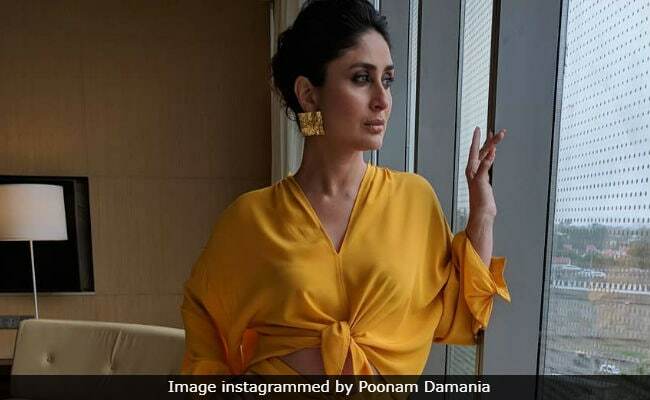 In Rujuta Diwekar's recent Instagram post, she shares some of the secret lifestyle tips which gorgeous actress Kareena Kapoor Khan follows. Do you want to know what they are? Take a look! Kareena Kapoor Khan has always been an avid yoga practitioner. In fact, she claims to have attained her size-zero figure when she started doing yoga regularly. The reason why the actress could shed her post-pregnancy weight, was due to regular yoga and Pilates. Yoga is beneficial for the overall health, increased flexibility. It helps in weight loss which can be sustained in the long run, along with helping in maintaining a healthy heart. Yoga is widely popular as it offers protection from injuries, balances metabolism and enhances muscled strength. The actress lost quite a few pounds by doing Pilates. Ever since baby Taimur, Kareena has been spotted numerous times outside the gym or Pilates studio. Her videos doing different Pilates routines have been viral on social media many times. One of her very popular videos has been with her fitness trainer Namrata Purohit, where the actress is seen doing airplane movement on the reformer with extreme dedication. Airplane movement on the reformer might be difficult for beginners. You can watch the video below for reference. When done with the right technique, airplane movement on the reformer can help in improving posture, flexibility, concentration. It also helps in achieving flat abs, strengthen muscles and spine. People who are overweight might find it a little difficult to perform this exercise. Henceforth, they should start with some very basic movements and keep the range of motion to minimum. The actress makes sure that her workout regime does not get mundane and thus not just Pilates, the actress swears by Kettlebell workouts as well. This exercise can be performed at home and is accessible and practical for all. This workout can get rid you off those weak, stubborn points that hold you back. Moreover, this exercise does wonders for people who want to achieve flat belly. For all those sweaty sessions and conviction, the actress lives a healthy and fitter life. Do the same and trust us, you will achieve what seems like the most impossible task ever! Wishing you a very happy birthday, Kareena Kapoor Khan!